Disability insurance can be extremely helpful to you if you are suffering from an illness or injury and have large financial liabilities as a result. Unfortunately, for many years, the unfair practices employed by long-term disability insurance companies have led claimants and policyholders to believe they do not have rights. But the opposite is true. Under the terms of most long-term disability insurance policies, individuals with long-term disability claims have a multitude of rights and protections. At Hauptman, O’Brien, Wolf & Lathrop, we not only fight aggressively to protect your rights to receive benefits, we actively prosecute bad faith denials and wrongful terminations of long-term disability claims—both of which are, sadly, all too common. You purchased long-term disability protection, and you have paid the premiums for years. Now, if you are seriously injured or ill, it is time for your insurance company to live up to its end of the bargain. Your carrier may not pay unless you realize you have been missing out on the benefits that are rightfully due to you and take action. Get an experienced, aggressive long-term disability attorney from Hauptman, O’Brien, Wolf & Lathrop working for you. Whether making your initial claim for disability benefits, appealing your denial of benefits, or filing a lawsuit to obtain benefits, our knowledgeable long-term disability attorneys are on your side. We offer aggressive representation while providing significant advantages in negotiating when resolving benefit disputes. Long-term disability companies do not always handle cases with fairness. It is because of this that having an experienced long-term disability lawyer on your side is very important. Contact the personal injury lawyers at Hauptman, O’Brien, Wolf & Lathrop if you have been denied long-term disability benefits so we can help you fight for what is rightfully yours. Our attorneys will make sure that your file has all relevant medical information and will work with your physicians to gather reputable opinions about your work-related limitations. Our attorneys will know the right questions to ask your doctors, rather than having to rely on the paperwork that is provided by your insurance company. This alone is one of our most valuable contributions to your case. Depending on the circumstances of your case, we may hire a vocational expert to testify about the specifics of your profession. It is a bad idea to rely on the testimonies of independent vocational experts who are hired by your long-term disability insurance carrier. In addition to the work we will do to obtain persuasive evidence of your disability, we will also interact with your long-term disability insurer on your behalf. We will also file your initial application and your appeals in a timely fashion, conduct settlement negotiations and if need be, handle your lawsuit in court. We believe that it is never too early to consider hiring a long-term disability lawyer. As soon as you are unable to work, contact the long-term disability lawyers at Hauptman, O’Brien, Wolf & Lathrop to discuss your case. 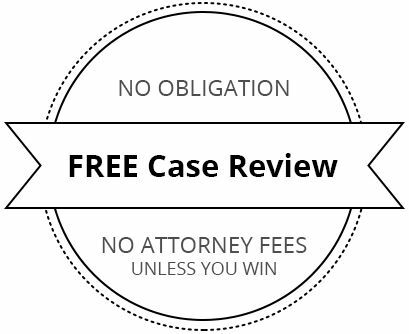 We offer free, no-obligation initial case evaluations over the phone or in person. Someone has quit work and then attempts to file for disability benefits. What many don’t know is that most employer-provided long-term disability benefits expire once employment is terminated. People who make good-faith transitions to lower-paying positions due to their impairments could potentially harm their long-term disability case. Working in a less strenuous position can make a claim harder to win and also decrease your future monthly payments. People often make mistakes on their application for benefits. Insurance companies will commonly design their paperwork to elicit answers from applicants that can lead to a denial of benefits. Our disability attorneys will be able to make you aware of these tricks and help you avoid falling victim to them. If you have filed for your initial long-term disability application and have been denied, we encourage you to contact us right away. We can help you with your administrative appeals and work to ensure you do not lose the benefits that you deserve. In some cases, it might make sense for you to consult with one of our experienced long-term disability lawyers before you file for benefits or get denied for long-term disability. There are a few reasons for this. At the beginning of a long-term disability claim, the insurance company may ask you to submit certain information that it will use against you later in your claim. They may also attempt to have you sign releases for specific information (such as credit information) that will later aid in its investigation against you. Most applicants for long-term disability benefits will unknowingly comply with every request that the insurance company makes. Long-term disability insurance companies often take advantage of the fact that many of their customers don’t know their rules and procedures. Having one of our long-term disability lawyers by your side the entire time working in your best interest will allow you to keep this from happening to you. What is Bad Faith in Long-Term Disability Claims? Some long-term disability companies will unfairly “spy” on people applying for benefits. In some cases, investigators for insurance companies have been known to follow claimants and take videos of their activities. This visual evidence is then used against the claimant to justify the denial of disability benefits. We are proactive in long-term disability cases. Our experience in recognizing issues before they become problems has helped guide many claimants through this difficult process, at a time in their lives when they most need the benefits of the protections they purchased. For your convenience, we offer home, hospital, and nursing home visits. Our team of injury attorneys at Hauptman, O’Brien, Wolf & Lathrop will provide you with the experience, strategy, and commitment that protect your rights and claims.